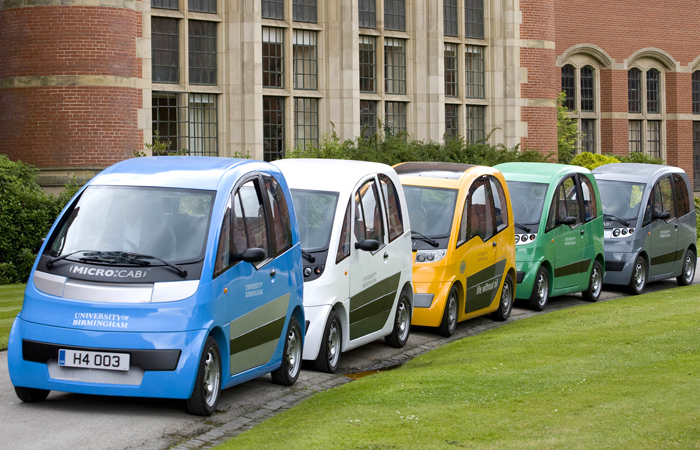 See SWARM-project.eu Bringing together 3 fuel cell vehicle manufacturers and demonstrating their products in 3 regions of Europe; UK, North Germany and Brussels. This project successfully completed in October 2018 with the Microcab fleet having covered about 20,000km and the launch of the new Vianova. 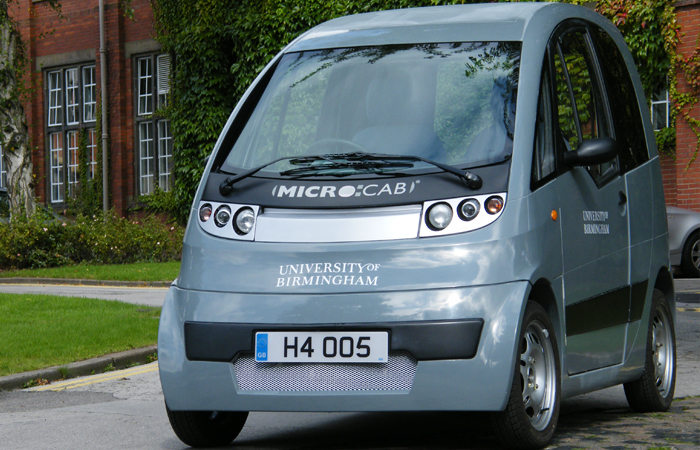 This latest model from Microcab features technical and design development work from SWARM itself, as well as a range of modifications brought about through parallel grant funded, projects (InnovateUK, APC, NVN) and our commercial work with Mahle. 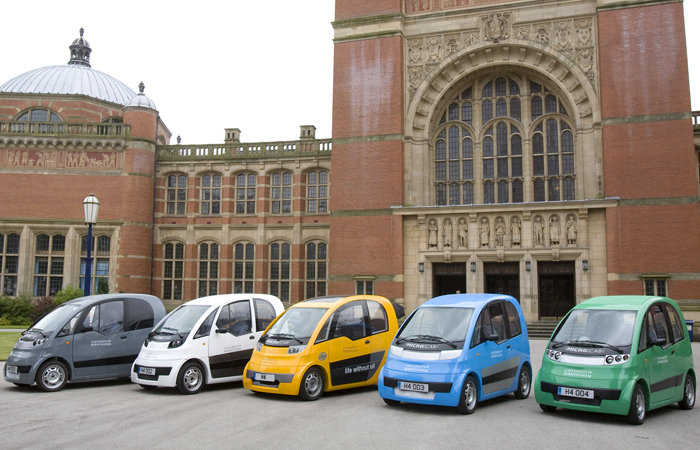 23 June 2009 : University of Birmingham event to herald the Technology Strategy Board’s announcement of the consortium winners of its Ultra Low Carbon Vehicle Demonstrator competition. 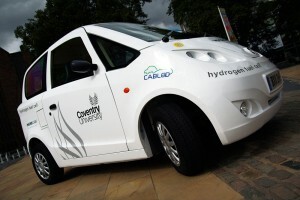 The CABLED project will showcase electric cars across Birmingham & Coventry in the West Midlands. 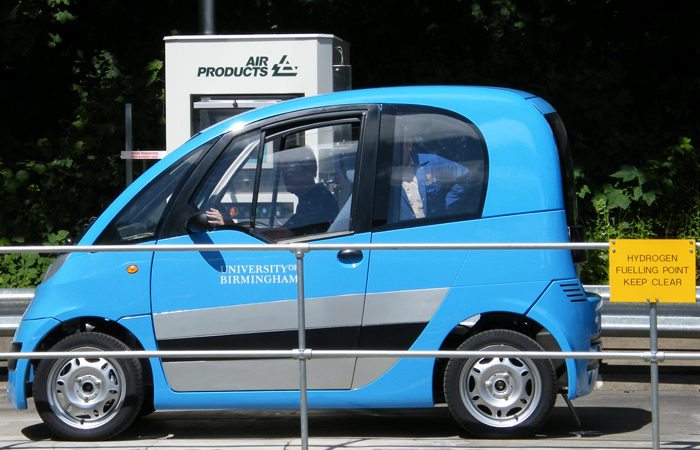 The Microcab was the only hydrogen fuel cell vehicle in the trials. 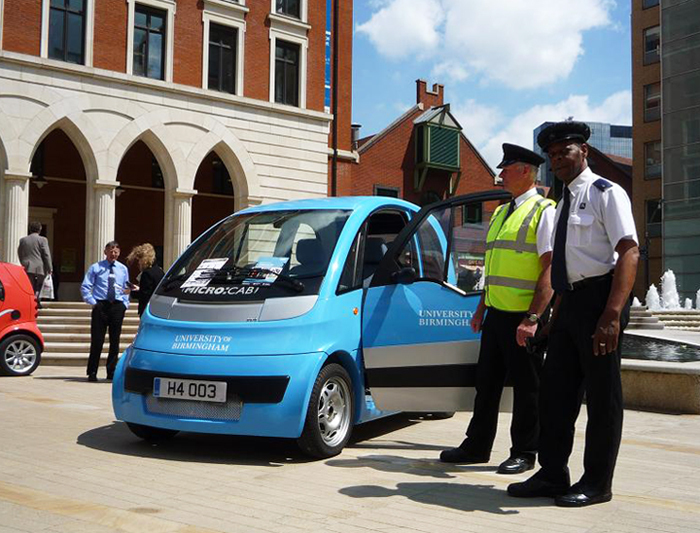 The objective of this project was to undertake a systematic and focused engineering programme to develop a base vehicle design. Project partners included Delta Motorsport, RDM Automotive, Lotus Lightweight Structures, Penso Consulting, Advanced Composites Group and EPL Composite Solutions. 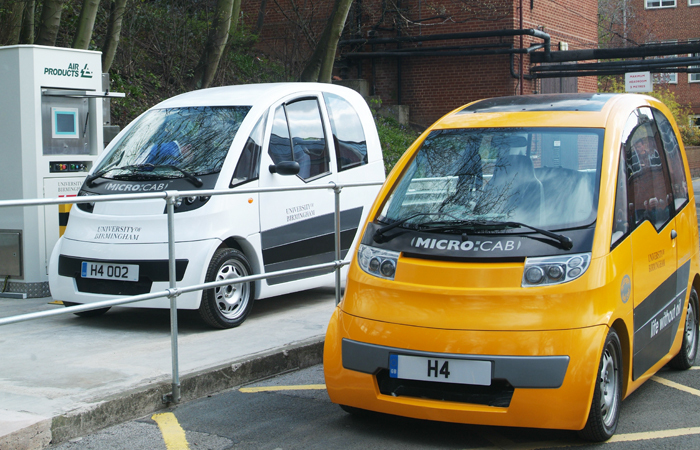 The timing was crucial to Microcab’s ability to supply viable vehicles to low carbon vehicle demonstrator fleets in a rapidly developing market. The main innovative aspect of this project was the development of a lightweight, crashworthy chassis and a composite upper body structure, combined with a pure EV drive train. Mark this date down in your diaries: 17 April 2008. 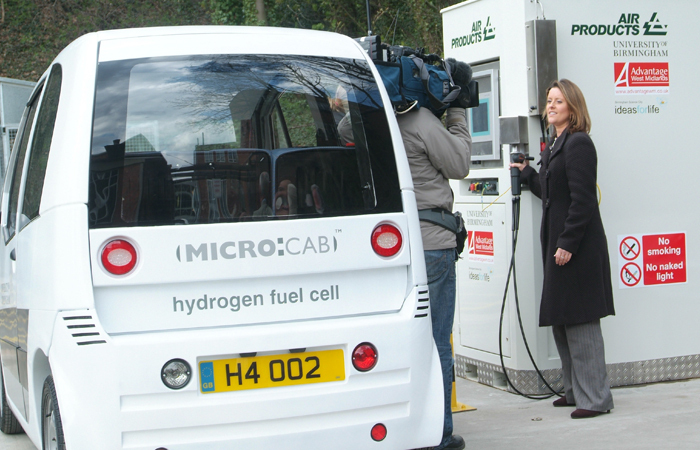 England’s first ever hydrogen pump was successfully launched. The event was officially opened by University of Birmingham Vice Chancellor, Professor Michael Sterling, and was attended by 100+ visitors. The BBC spent the whole day covering the event, along with Central and Channel 4 news, and millions watched the opening live on lunchtime TV. 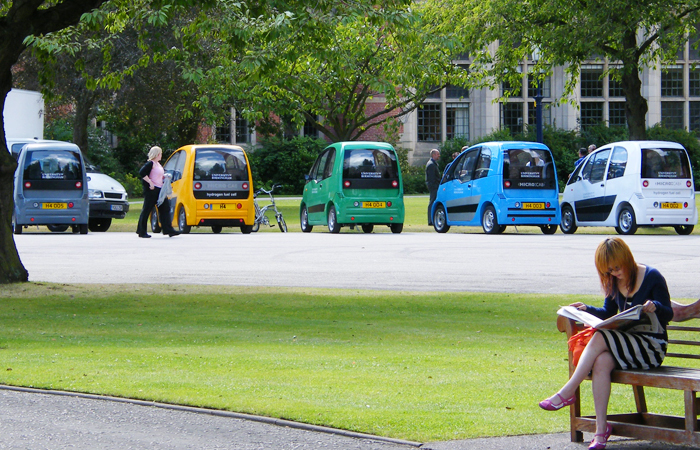 The University’s fleet of five hydrogen vehicles made their first group appearance on campus on Tuesday 8 July 2008. They were also featured on Sky News in two parts. Microcab Industries Ltd, working with the support and partnership of Coventry University. 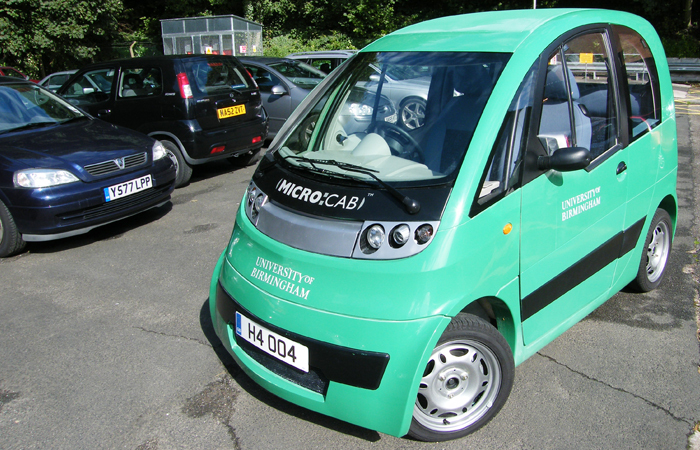 The University of Birmingham have been partners on previous Microcab projects and continue to provide support and encouragement.